Sometimes life can be really crazy, don’t you agree? You are doing your best to organize both your life and your blog to have a bit more balance between them and achieve some ease of mind… and then… nothing goes as planned. Don’t get me wrong, that doesn’t necessarily mean that things are going bad around here, quite the opposite to be honest as a lot of nice things are going to happen within the next few weeks! This weekend we are heading to Budapest (ok this was planned, although until now we did not actually plan any activities so far once we are there 😛 if you are interested I can show you some pictures of the trip next week? ), we are getting some family visits and will even attend a family wedding soon! Then comes Valentines Day, a birthday of a family member and before you know it will be March! The next few weeks will be really exciting, but wait… what about all my plannings? Oh dear, I guess the conclusion out of this is: you cannot plan life. I am sorry to say that with all this amazing things happening I will not have as much time as I planned to get all my baking ideas done (I cant believe that I wont be baking for next few weeks!). I really had some great things in mind but I guess they will have to wait 😉 Not a drama of course, but it does mean that I will probably have no time for Valentines baking although I had some great ideas… well we will have to wait and see 😉 If not, please don’t be too disappointed in me. 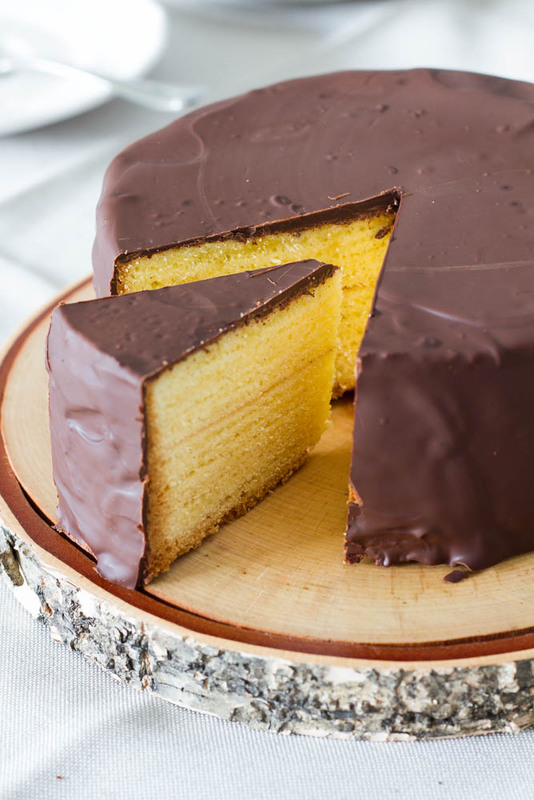 In this sense, today I am sharing my Baumkuchen recipe with you! I adapted it from a magazine I got from my mother for Christmas. Although it is in a Christmas magazine, it does not mean that it is only for Christmas. I would bake and enjoy this delicious cake again right now. It has its name from the different layers representing the rings of a tree. 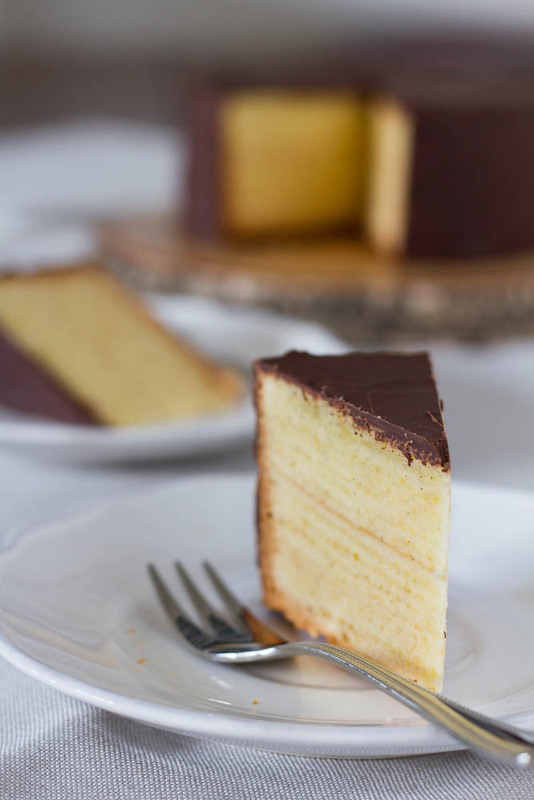 It is baked layer by layer and therefore it will cost you some time to make it, but it is not hard at all! It is best to use your grill function of your oven, but if you don’t have one (or if it is not working like mine) you can also use your normal oven with preferably heat from above. 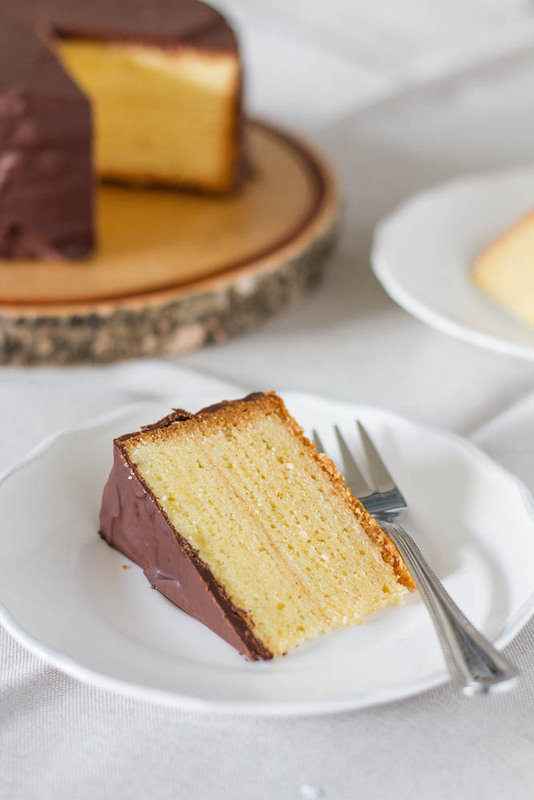 Is it still soft and moist after grilling all those layers? Is it easy to spread out the 2 tbsp of dough (e.g. is it runny)? And what cake tin size did you use? I hope I could answer you questions 🙂 Thanks for asking them Marion!